In the predawn hours of May 13, 1862, Robert Smalls’ experienced hands gripped the ship’s wheel of the Planter, though his heart was pounding. Ahead were five checkpoints along the Charleston River, and then the open sea. Within a few hours he and the fifteen others onboard would be free from slavery. Or, failing to succeed, they would be sinking the ship, jumping overboard and perishing together. They had already decided: being captured was not an option. Smalls prayed aloud, for the benefit of his crew and passengers: “Lord, we entrust ourselves into thy hands. Like thou didst for the Israelites in Egypt, please stand over us to our promised land of freedom” (1). The first checkpoint came into view, its lanterns gleaming gold against the dark night. Even though the sentries would not be able to see him clearly, Smalls had taken the precaution of wearing the captain’s coat and straw hat. He even assumed his captain’s posture. And when Smalls gave the correct whistle signal, they allowed him to pass without question. At age twelve, Smalls’ master, Mr. McKee of Beaufort, South Carolina, had rented him to an employer in Charleston. Smalls had worked in the city ever since, as waiter, lamplighter, and then wharf hand. Currently he was employed as wheel hand aboard the Confederate supply ship, Planter, under command of Captain Ripley. His circumstances had allowed him to learn how to sail and how to make the correct whistle signals at checkpoints. 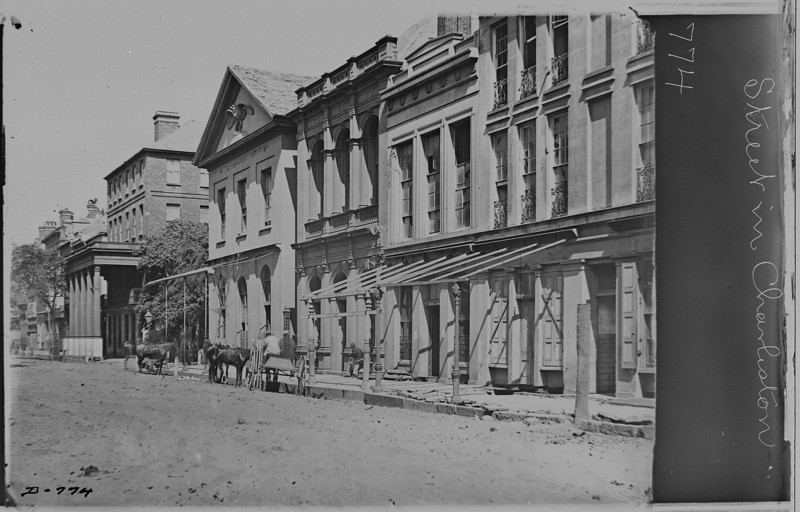 The captain and white crew members frequently spent their nights in Charleston, not on the ship. This night was one of them. Smalls enjoyed good rapport with the other ship-hand slaves of the Planter. Without them, this daring getaway would have been impossible. The opportunity for escape presented itself when a pre-dawn mission was scheduled for May 13. Smalls’ 3:30 a.m. departure, although earlier than actually scheduled, did not alert the harbor guards. Smalls had time to notify his wife and children that he would pick them up at a prearranged wharf nearby, prior to the first checkpoint. A small pinpoint of pale light appeared ahead. Checkpoint Two. Again, the Planter slid by without incident as Smalls signaled to those on shore. Three, four, and five also allowed them to pass. By sunrise they were sailing into safe Union waters. Upon sighting the first vessel of the Union blockade, Smalls took down the Confederate flag and hoisted a white sheet—just in time before Onward sailors began to fire at the Confederate vessel. Smalls surprised the captain of Onward with his knowledge of Rebel fortifications and their locations. Also of value: a book of secret flag signals used by the Confederates, and a full cargo of armaments. It wasn’t long before Smalls had joined the war effort for the Union, helping to enlist Black men to fight. Nearly 5,000 former slaves fought courageously for the North. For his part, Smalls became the Union Navy captain for the CSS Planter, the ship he had sailed to freedom. 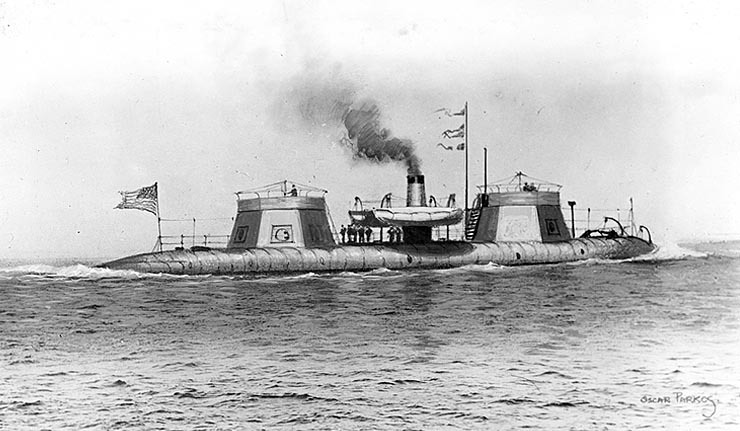 He also captained the ironclad, USS Keokuk. 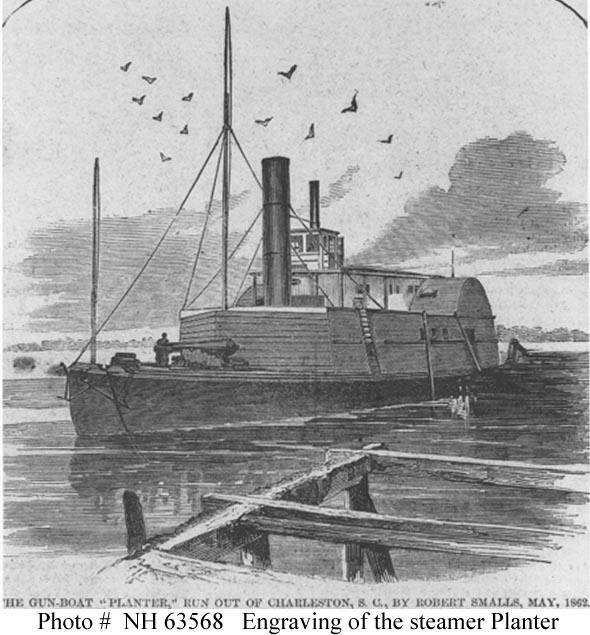 Smalls led Union ships into waters the Confederacy had protected with mines—mines that Small had helped to plant while enslaved in Charleston. Soldiers deactivated the mines, opening those passageways to Union vessels. Smalls courageously conducted seventeen missions in and around Charleston, which included assisting in the destruction of railroad bridges in the harbor area. 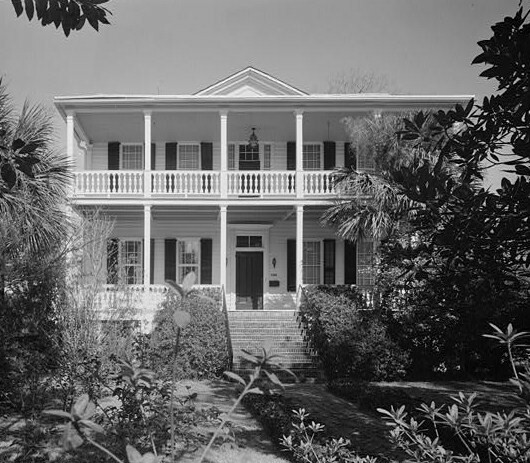 After the war, Smalls and his family returned to Beaufort, South Carolina. He was awarded the rank of Major General of the South Carolina Militia during Reconstruction, and turned his attention to business, education, and finally, politics. He opened a general store and started a newspaper. He helped establish the first school built for African-American children in Beaufort County. From 1869 to 1889 Smalls served in both houses of the South Carolina Legislature, and five terms in the U.S. Congress. Referring to his political service, one commentator said, “His record was brilliant, consistent, and indeed he led in all the most prominent measures” (2). He eventually acquired enough wealth to purchase the house in Beaufort where he and his mother had been slaves of the McKee family. Sometime after Smalls and his family moved in, Mrs. McKee came to the door. By this time she was elderly and perhaps suffering from dementia. She thought the house still belonged to her. The natural inclination would have been to send her away or have her delivered to her current home. But that was not Robert Smalls’ way. He invited Mrs. McKee inside, gave back to the woman her old bedroom, and then served her. 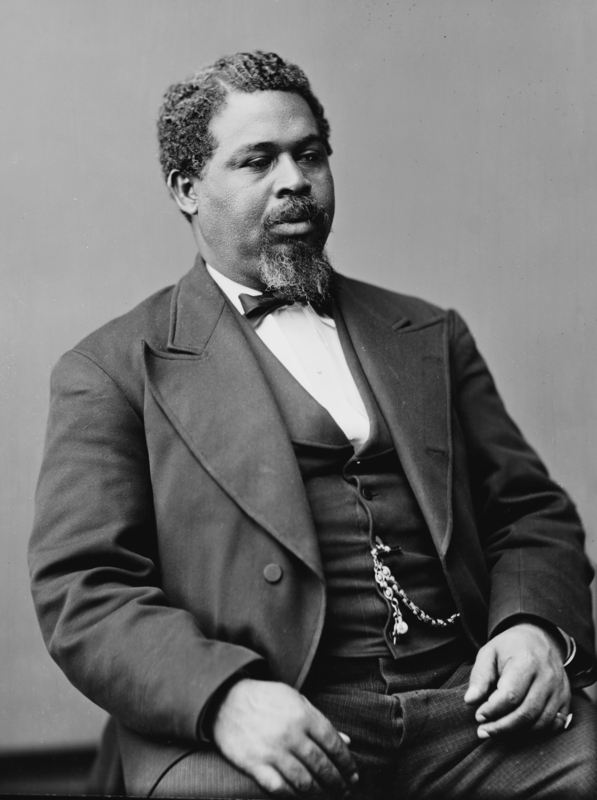 Robert Smalls died in 1915 at age 76, and was buried with great honors. In 2001 a Logistics Support Vessel was launched with his name, the Major General Robert Smalls. It was the first ship named for an African-American. A worthy honoree, indeed. (1) Boone, Bishop Wellington, Black Self-Genocide, p. 165. Sources: Black Self-Genocide by Bishop Wellington Boone, APPTE Publishing, 2016; http://www.biography.com/people/robert-smalls; http://www.cbn.com/CBNnews/138685.aspx; http://www.historynet.com/robertsmalls; http://www.robertsmalls.com; www. Once again, I wish you had been my teacher! This is a wonderful story. Thank you, Grace. I love researching and sharing these wonderful stories of courageous Christians from history that we never heard about in school. LOVE this!! FB’d it. Thanks for doing this. Wish you could visit the George Washington Carver Memorial down our way–fabulous story also. I’m honored, Dawn, that you found this story about Robert Smalls worth sharing on FB. I’d love to visit G. W. Carver’s Memorial someday! I taught my fourth graders about him (for 20 years) and we all marveled at his clever ideas that helped struggling sharecroppers and his discoveries that boosted commerce (i.e. all those products to be made from peanuts). He, too, rose out of poverty and ill treatment to accomplish much. A fine Christian as well. so interesting. You do share the best stories and honor people, Thanks for doing this type of post! Happy Weekend, Nancy! Thank you Jean. So glad you join me in the love of history, especially that of Christians from the past. I came across Robert Smalls in my reading, and was surprised I’d never heard of him before. His is a compelling story! What an awesome man (great movie there, too). Thanks for stirring intro, Nancy! Thank you, Mitch! I was thinking the same thing while researching. Then I came across a reference to a movie, so someone else had the same idea. ‘Wonder how good it is. You’d be able to do his story justice! FANTASTIC story! Loved it so very much. Looking forward to meeting him in Heaven someday! So glad you enjoyed his story. Hadn’t thought about meeting him in heaven. Perhaps one of the joys will be leisurely visits with all sorts of folks with grand stories to tell, including Robert Smalls.